Acrylic doors and panel colors available at Agetek Ltd.
Agetek are pleased to announce the launch of their Cosmic range of doors and panels. These are high gloss Acrylic doors, drawer fronts and panels that can be supplied with a selection of different edging applied with our new edge bander. 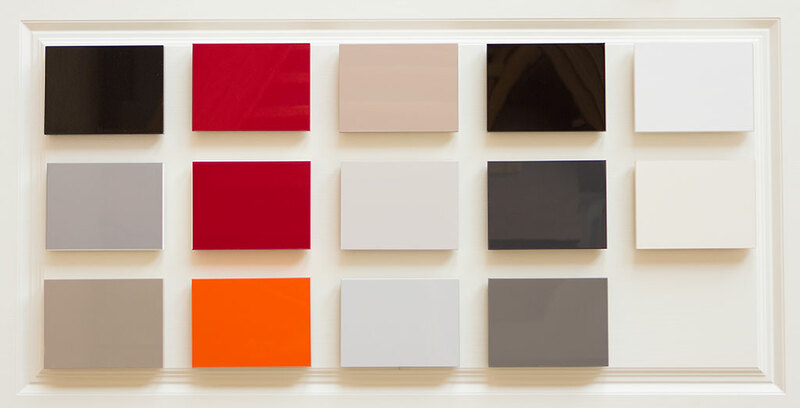 We have a range of colors that includes White, Cream, Red, Orange, Greys and Black. We also have some metalic colors with a directional finish for a very strong look. 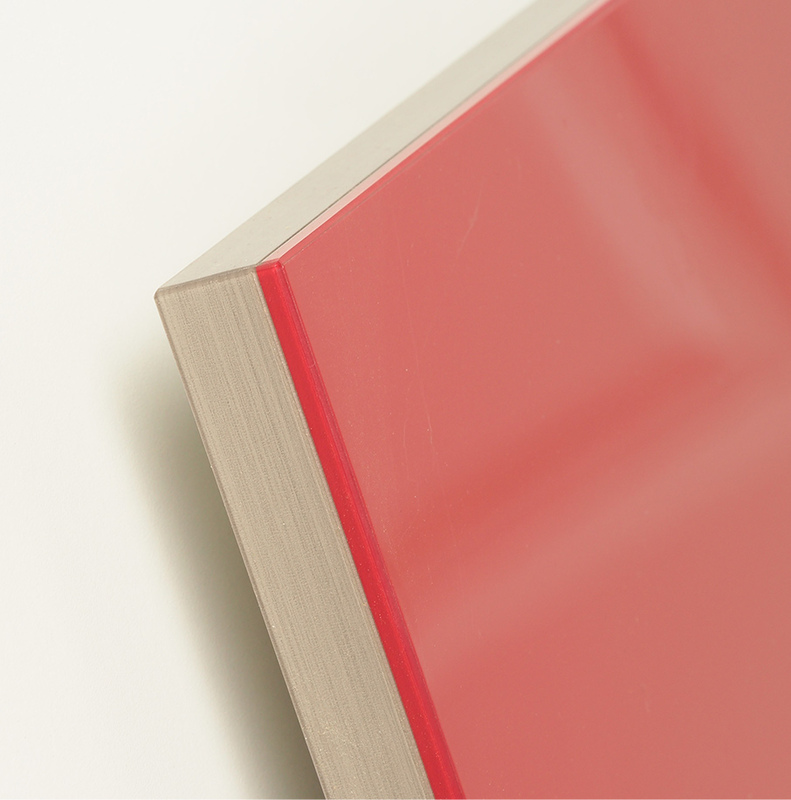 These are a more robust and modern alternative to our foiled high gloss doors. We will be showcasing a sample Acrylic kitchen using our Cosmic Acrylic doors shortly, and will add in some photos of this once it’s in the showroom. We can edge the Acrylic panels with various colors, even mix and matching them. This must be done on our edge bander as there is no pre-glued edging available in the acrylic range. 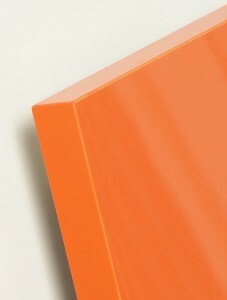 For each color, the default edging would be a color matched edge tape such as in the Orange Acrylic door photo below. We have the color matched edging in 19mm as well as in 38mm for double thickness panels. We also have glass effect edging for most colors, but only in 19mm thickness. Please note that it is not possible to edge angled doors as the corners cannot be cut and polished by the edge bander. The back of the Acrylic board is NOT color matched to the front. The colors on the backs are usually silver, except for White and Cream. The White and Cream board comes in 3050 metre lengths so the longest we can trim to is 3035, while the other colors are in smaller sheets so the longest we can trim to is 2425mm in length. Please note that panels MUST be trimmed before edging, we will not run untrimmed edges through the edge bander. We have some specific handles to suit these doors. Information on our Acrylic door handles is available here.